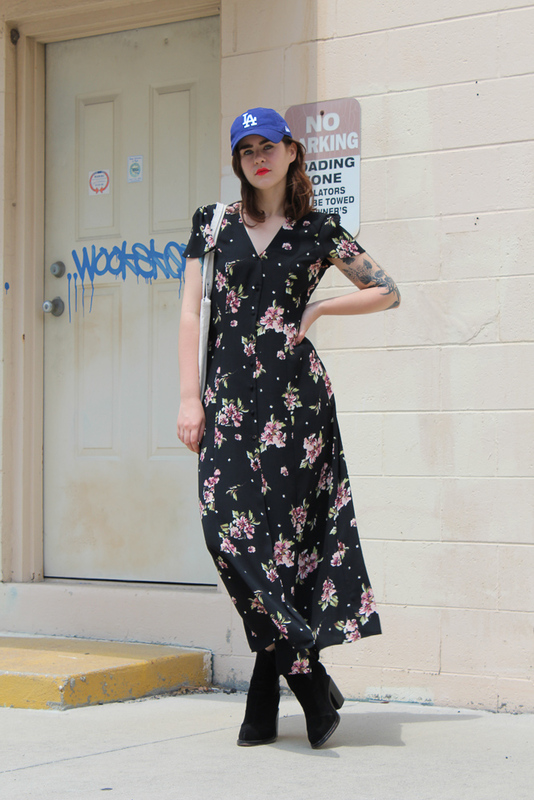 I can't get enough of this baseball cap + long floral dress combo lately. 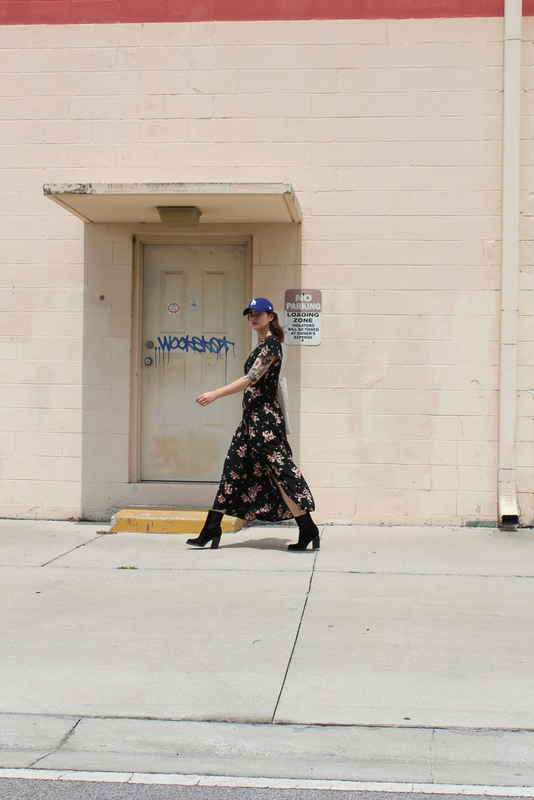 There's something so insouciant about wearing something so typically girly with something so typically masculine. Personally, I like baseballs caps because sometimes (always) my fledgling middle part decides to be unruly and I can just hide it under a cap. Sporty accents have been working their way steadily onto my Pinterest boards... 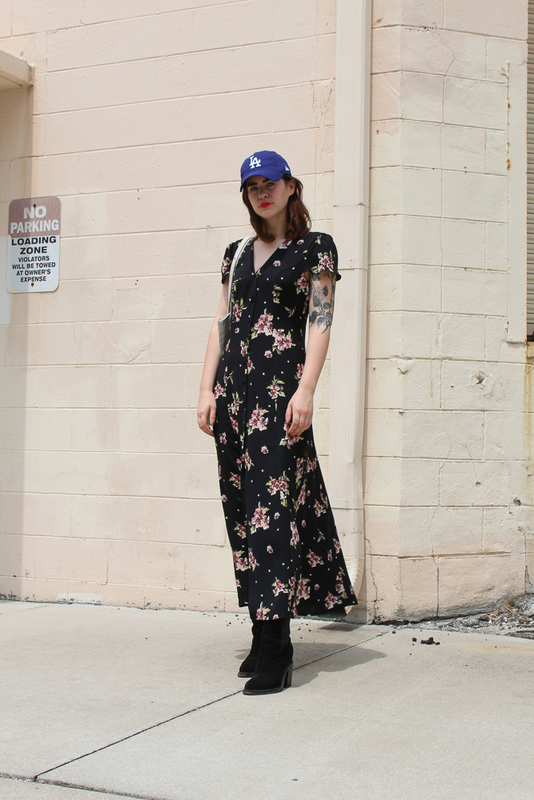 I'm talking tall white Nike socks, oversized + cropped hoodies, and of course, baseball caps.